The index opened positive on the back of good global cues just below 8000 level and saw huge buying interest from the onset to scale 8000 with ease and closed well above it at 8027.70, huge gain of 73.35 points. The broader market was also positive, with 1104 advances to 469 declines. The initial range for series comes to 7900-8200. Call option 8000-8500 added huge 47.47 lacs OI with short covering seen at 7900 and lower strike prices. Put option 8200-7300 added huge 55.49 lacs OI with small addition at 8400 strike price. 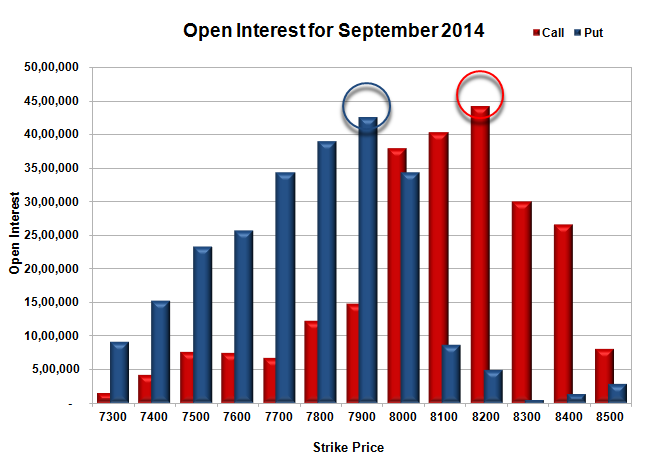 Nifty Open Interest is at 1,63,40,950 up by 3,89,750, with increase in price, probably huge long build-up. 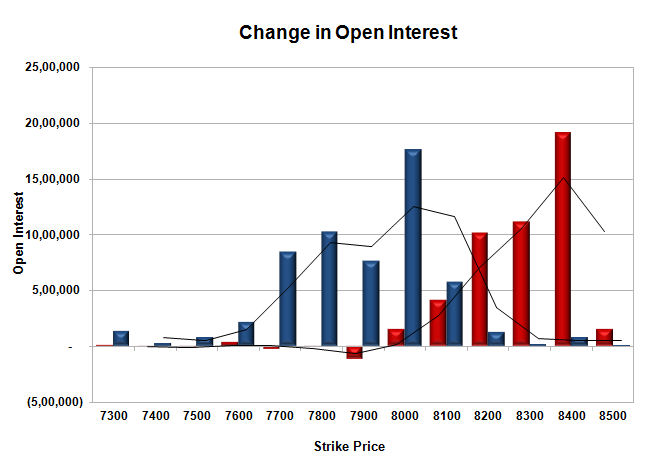 Bank Nifty Open Interest is at 18,63,500 up by 2,49,775, with increase in price, probably huge long build-up. FII’s sold 0.49 lacs Futures, which includes 1831 contracts long liquidation and 846 contracts short covering, with decrease in net OI by 2677 contracts (includes 31510 longs to 32495 shorts for the day) and the average price per contract comes to around 8067.68. FII’s Index future open contract as on date is 237014 Longs to 41004 Shorts, net long 196010 contracts. PCR Open Interest (Volume) has moved up above 1 at 1.008. Initial support at 8000, with huge OI addition of 17.56 lacs for the day and below that at 7900 with huge OI of 42.54 lacs. Initial resistance at 8100, with huge OI of 40.38 lacs and above that at 8200 with highest OI of 44.20 lacs. 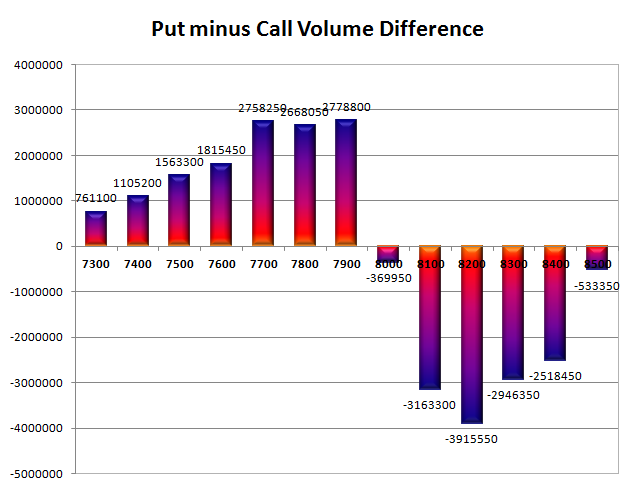 Day Range as per Option Table is 7973 - 8066 and as per VIX is 7971 - 8085 with 8016 as the Pivot.